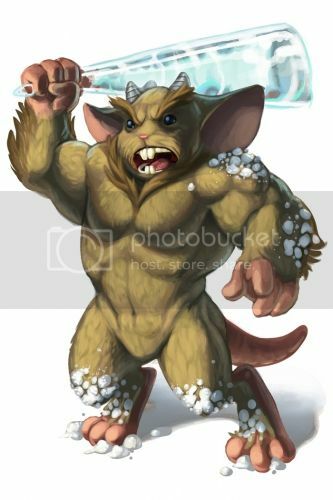 The Yeti Mouse is a breed of mouse found in the Slushy Shoreline and Brutal Bulwark zone of the Iceberg. They are known to drop Frosty Metal as loot in the Slushy Shoreline, and Hunting Research, Satchel of Gold, Sticky Charms, and Wax Charms in the Iceberg location. This mouse has been called many things - "bigpaw", "snow monster", "sasquatch" - but the one thing he cannot stand being called is "abominable". He's normally a very sociable mouse, but that name causes him to fly into a rage! Yeti mice have no specific preference for any kind of cheese. The Yeti mouse can only be encountered in the Slushy Shoreline when a hunter has Softserve Charms armed. When a Yeti Mouse is encountered in the Iceberg, the hunter will lose progress regardless of whether the mouse is caught or missed, unless the Spiked Base is armed. The Yeti Mouse drops the Slushy Shoreline Egg during the annual Spring Egg Hunt. The Yeti' was released on 14 May 2012. Yeti mice dropped Interlocking Hull Fragments between 14 May 2012 and 24 May 2012.